One of the most current projects in philosophy is to uncover a detailed picture of the history of analytic philosophy. We can differentiate at least three ways of dealing with this project: (i) one way leads to a certain history of ideas, to a comprehensive and systematic narrative, usually based on a singular point of view, which tries to reconstruct analytic philosophy as a unified school of thought, detecting those unique features, widely hold claims, institutional and social factors which would collect the individual thinkers into one group and placing the individual ideas into a larger context. Or (ii) we can embrace an argumentative approach regarding the history of philosophy according to which we have to investigate the explicit statements and arguments of the individual thinkers or a given group of thinkers holding that they are equal partners in our contemporary philosophical debates (this method is used by Scott Soames in his Philosophical Analysis in Twentieth Century). Such an approach is much less sensitive to the contextual factors offered by a narrative account. It is receptive instead to bare claims and arguments, picked out from their historical contexts. These have to stand on their own feet facing the contemporary critics in our current space of reasons. The third (iii) approach has a much more moderate claim – it does not want to argue with the figures depicted as contemporaries, nor to generate a systematic and unifying narrative. Instead it sees its task in writing certain well defined micro histories – in such a suitably restricted story the heroes could be certain thinkers and their oeuvre which are unknown and isolated from the point of view of the ‘big picture’, various scientific controversies and disputes and their participants, or the reconstruction of the (un)published workings in the light of their reception. Greg Frost-Arnold’s first book, Carnap, Tarski and Quine at Harvard, however, tries to capture all the strengths of these approaches at once. The subject matter of his reconstruction is a manuscript by Rudolf Carnap that was recently discovered in the University of Pittsburgh’s Archives of Scientific Philosophy. The original German manuscript is about the conversations of Carnap, Tarski and Quine (sometimes featuring Goodman) which took place at Harvard in the academic year 1940-41. That year marks a decisive point in the evolution of Carnap’s thought on semantics (one year later, he published his Introduction to Semantics). As Carnap and Quine reported in their intellectual autobiography, the dispute about analyticity played a crucial role in that highly productive year. At first glance, the manuscript promises to be the very material from which we can reconstruct the way that led to e.g. Quine’s so famous “Two Dogmas of Empiricism.” Nonetheless, as Frost-Arnold shows, there is much more at stake, and the manuscript provides plenty of relevant information about the thought and methods of the Carnap of the 1940s, about Tarski’s philosophical mindset and not least about Quine’s place in the project of logical empiricism. The book is divided into six chapters and two appendices. Appendix A is the critical edition, in English, of Carnap’s manuscript, Appendix B consist of the transcription of the German original. If the book contained only these two ‘appendices’, it would still be an important piece of work for both historians of philosophy and philosophers, not least for its careful, subtle and detailed reconstruction of the text provided with fine-grained commentaries and a very comprehensive discussion of the original notes. Frost-Arnold’s achievement is outstanding since Carnap’s notes are considerably hard to follow regarding both the main argumentative issues and their contextual relevance. Chapter One (‘Overview and Historical Background’) sets the scene for the Harvard conversation, shapes the historical context and at the same time sketches the main philosophical motives and the origins of those thoughts that played a crucial role in the discussions. These narrative elements are highly useful since, contrary to the logical expectations of an average reader – i.e. the expectation that analyticity and semantics are the primary focus – the main topic of the notes is a ‘finitist-nominalist project’ (‘FN’ for short), concerning the ‘language of science’, especially mathematics. “In these conversations, ‘finitism’ refers to strict requirements Tarski proposes a language must meet to be verständlich, that is, understandable or intelligible” (p. 4.). Those requirements are collected into a group by the author (pp. 4-10. ), and it contains such considerations as (FN1) that the given language L must be first-order; (FN2) that the domain D of quantification must be (unspecified) physical things; that the domain D, in the restrictive reading (FN3.1) contains finite number of members, and in the liberal reading (FN3.2) makes no assumption about the cardinality of D; and finally (FN4) that L contains only finitely many descriptive predicates. The point is how to reconstruct mathematics – which usually takes second-order quantification – works with infinity and relies on abstract entities, in the FN project. The strength of the book, as I already mentioned, is the combination of the three historiographic strategies, also instantiated by the first chapter. After the author gives the relevant larger context, he reconstructs the discussed project as a micro-history (as conversations in a university by three participants) and finally relates the detected problems, arguments and aims of FN to contemporary debates (relying on Burgess and Field). Chapter Two (‘Justifications for the Finitist-Nominalist Conditions’) also shows this unifying strategy: we found that the Harvard-conversations played a crucial role in the development of Quine’s and Goodman’s notorious “Steps Towards a Constructive Nominalism” article, and after that Frost-Arnold presents in detail one by one the different justifications for the conditions required by the FN language proposed by Tarski (intelligibility, i.e. Verständlichkeit, the anti-metaphysical impulse, inferential safety and the argument from natural sciences). The end of the chapter (pp. 47-50) summarizes some recent strategies for the justification of nominalism, which consist mainly in a positive argument (from a causal theory of knowledge and/or reference) and a negative one (rebutting the indispensability argument). 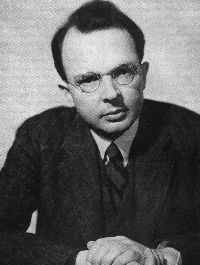 The third part of the book (‘Objections to the Finitist-Nominalist Project’) focuses on the role and basic stance of Carnap, since “anyone familiar with Carnap’s fundamental philosophical views should suspect that he harbors serious reservations about [the FN project]” , and “given that Carnap is not convinced of the merits or value of Tarski’s proposed restrictions, and resist accepting them wholeheartedly [as shown by Chapter 2], it is natural to ask: why does Carnap engage in the project?” (p. 51). The author cites the principle of tolerance from Carnap’s Logische Syntax der Sprache (§17), and shows that in itself the principle is insufficient since it gives only entitlement to form any practically useful language, but does not explain why one should engage specifically in the FN project. Frost-Arnold reconstructs further arguments from Carnap for this project (one is an analogy between mathematics and physics pp. 54-58, and the other is a special conception of infinity, pp. 58-65). After discussing the defensive strategies of Carnap from Tarski and Quine, the author presents Carnap’s attacks against the FN conditions, and supplements them by a contemporary one worked out by him. We also get the required narrative regarding the basic philosophical stance of Tarski and Quine, inasmuch as “in the end, none of Carnap’s criticisms of the finitist-nominalist project made much headway with Tarski or Quine’ (p. 72). The main reason behind this is Carnap’s willingness to accept, and Tarski’s and Quine’s robust denial of modal and intensional idioms with the strict distinction between analytic and synthetic sentences. Large parts of chapter Four (‘The Finitist-Nominalist Project and Analyticity’) are historical reconstructions of Quine’s attacks on the analytic-synthetic distinction, which “by most philosophers standards [is] one of the most influential and widely adopted ‘big ideas’ of twentieth-century Anglophone philosophy” (p. 73). In Tarski’s proposal, arithmetic becomes synthetic (due to certain existential statements), which is highly unacceptable for Carnap in the standard view. But if there is no strict distinction between analytic and synthetic statements, Carnap’s worries disappear. So Frost-Arnold presents his own account of the evolution of Quine challenges from “Truth by Convention” to “Two Dogmas of Empiricism” claiming that in the former article we find a less radical conception than in the latter, since at that time Quine was a disciple and adherent of Carnap. Quine was much more sceptical than dismissive regarding analyticity and showed only that there are meaningful problems with analyticity but hoped for legitimate solutions for them. Hence the radicalization of Quine’s position dates back not to the 1936 publication of “Truth by Convention” but to the 1940-41 conversations on logic, mathematics and science, especially to Tarski’s conception: “these conversations with Tarski and Carnap, in which certain portions of arithmetic are considered dependent on empirical facts about the world, certainly could have planted the idea in [Quine’s] head, or perhaps more likely, cultivated the germs of an idea he had already entertained” (p. 87). Chapter Five (‘Direct Discussions of Analytic Truth in 1940-41’) follows the thoughts of the former chapter, and shows that in an indirect way the conversations touched upon analyticity frequently. Though the participants did not use the word ‘analyticity’ or other cognates, they discussed the notion of ‘L-truth’, which meant basically the same. In these pages we discover a much bigger narrative than the conversations in themselves provide: Frost-Arnold draws our attention to the philosophical perspectives of Carnap, Tarski and Quine regarding the definition and conception of analyticity and any other semantic notion: to put it simply, Carnap tries to capture such notions semantically and intensionally, while Tarski is much more restrictive with his extensional semantic conception, whereas Quine is the most radical, defending extensional and syntactical approaches. We get a different version of analyticity from the Carnapian corpus along with Tarski’s objections, “which either misunderstands Carnap’s position or does not conflict with it” (p. 89). The main target, however, is Quine’s critique. Here, and later in the “Two Dogmas”, Carnap is associated with the view of analytic statement as those ‘we can maintain in the face of all experience, come what may’. The problem, as pointed out by Frost-Arnold and as can be detected in Carnap’s published writings, is that Carnap did not hold this view. Already in Logische Syntax (§82) he emphasizes that analytic statements are also revisable which is tantamount to changing the relevant linguistic frameworks: “Carnap denies Quine’s claim that all analytic sentences are irrevocable; during a scientific revolution such as the transition from Newtonian to relativistic physics, the analytic truths of the language of physics change (put otherwise, the language of physics changes): the theorems of Euclidean geometry that make ineliminable use of the parallel postulate switch from being analytic to synthetic” (p. 106). Frost-Arnold also considers other relevant points in this context (pp. 107-114), namely the change of Carnap’s views from syntax to semantics and the embrace of the modalities in which Quine did not follow him, and enters the recent debate between Richard Creath and Paolo Mancosu about when Quine finally did break with Carnap. The author defends in a highly convincing mode a mid-way, which states that though Quine had the relevant ideas already around 1942, the final radicalization appears only in “Two Dogmas”. During the 1940s, Quine hold the idea that there is a legitimate way to accept analyticity (this is achieved in Word and Object, 1960, with the empirical-behavioristic definition of analyticity). “the relationship between mathematical theories and theories about the natural world is absolutely central for almost all of those caught up in the intellectual currents of logical empiricism, and for Carnap in particular. He saw Tarski’s finitista-nominalist project, and Quine’s support for it, as a retrogressive slide back into Mill’s empiricist view of mathematics. […] the demand for intelligibility [as argued in chapter 2] is very closely tied to the issue of linguistic meaning, a central concern of both the logical empiricists and many philosophers who came after them. […] the analytic/synthetic distinction […] makes prominent appearances [also]. For example, in a FN language certain parts of arithmetic become synthetic, and some light was shed on the historical trajectory that led Quine to “Two Dogmas” (p. 137). Three minor corrections and additions need to be mentioned. The first two are editorial: footnotes 18 and 19 on p. 85 are the same with different references, so presumably the first has been left there unnoticed; in the bibliography “Quine 1943b” refers to “The Problem of Interpreting Modal Logic”, which was written in 1946 and published in 1947. Since that article is an example in the author’s argument in Chapter 5, the precise publication date should be kept in mind. Finally in Chapter 6, when listing the relevant publications by Carnap regarding the unity of science and the anti-metaphysical attitude, Frost-Arnold does not discuss the 1928 Scheinprobleme in der Philosophie. While his Der logische Aufbau der Welt, also from 1928, took place in a neo-Kantian and Husserlian framework and connects the critics of metaphysics to its constitution system, the Scheinprobleme shows the signs of the influence of Wittgenstein and criticizes metaphysics with the help of verification. In this respect Scheinprobleme marks an important shift in Carnap’s thought, while the author connects this break after the Aufbau to the notorious “Overcoming Metaphysics through the Logical Analyzes of Language” from 1932. Greg Frost-Arnold’s book is a highly elegant edition and commentary of Carnap’s notes, claiming just as much as he is warranted on the basis of the manuscript and other relevant texts, and formulating his scholarly assumptions very carefully. Along the way he tries to unify the three historiographical strategies: narrative, argumentative and micro-historical. The micro-history, in this case, consists in the conversations between Carnap, Tarski and Quine. This story fits in a bigger narrative about logical empiricism and analytic philosophy. The detailed picture of the evolution of Carnap, Tarski and Quine provides some systematic context for the historical argumentation and serves as a basis for understanding why these giants of twentieth-century philosophy did discuss these topics, and how they argued against each other. These arguments are not just interesting in themselves, but the author also tries to connect them to the recent discourse and evaluates some of them from our contemporary perspective. Frost-Arnold’s book will likely be an influential work for the ongoing writing of the history of analytic philosophy. Greg Frost-Arnold: Carnap, Tarski, and Quine at Harvard. Open Court, Chicago 2013, 270 pages, Softcover. Acknowledgments. For the three-fold distinction between different historiographical strategies – history of ideas, argumentative, and micro-historical – I am indebted to Tamás Demeter. I would like to thank Deodáth Zuh for offering his suggestions on a first draft of this review. Ádám Tamás Tuboly is a doctoral candidate at the Department of Philosophy, University of Pécs, Hungary; he mainly works on problems in the history of analytic philosophy, especially in the historical reception of Rudolf Carnap.